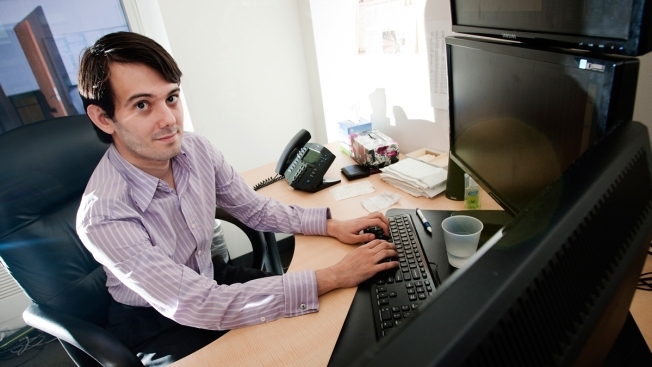 Turing Pharmaceuticals CEO Martin Shkreli, pictured here in this 2011 file photo, defended the 5000% price increase for the lifesaving drug Daraprim. The price of a popular drug that treats life-threatening parasitic infections has increased 5,000 percent, bringing the annual cost of treatment to hundreds of thousands of dollars for some patients. Daraprim fights toxoplasmosis, which infects people whose immune systems have been weakened by AIDS, chemotherapy and pregnancy, according to the Center of Disease Control. Turing Pharmaceuticals of New York bought the drug from Impax Laboratories in August for $55 million and raised the price from $13.50 a tablet to $750. Daraprim isn't the only drug to increase their price in recent months. The average cost of brand-name medications rose 13 percent in 2013, according to a report from the Prime Institute at the University of Minnesota. "This isn't the greedy drug company trying to gouge patients, it is us trying to stay in business," Martin Shkreli, the founder and CEO of Turing, told the New York Times.